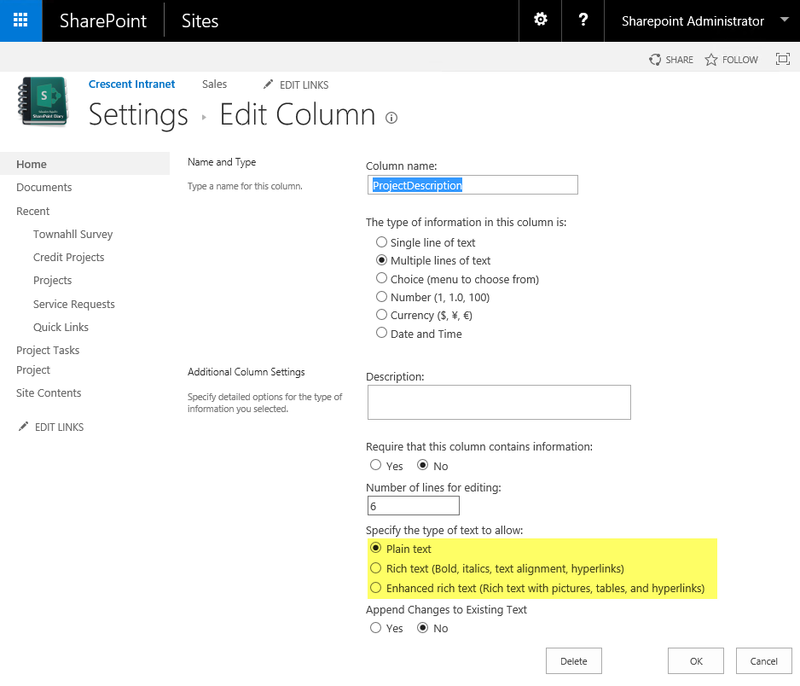 Home Column PowerShell SharePoint SharePoint 2013 How to Set Multiple Lines of Text Field Type to Rich Text or Enhanced Rich Text in SharePoint? Go to the list settings >> Click on the column name to get in to the column settings. Here is the PowerShell to change multi-line text field type from Plain text to Rich text or Enhanced rich text. #Set the Field Type "Rich Text"
#Set Field Type to "Enhanced Rich Text"